Many of us take leave and travel over the Easter holidays to enjoy time with friends and family. But the change in routine, environment, diet and activity levels could have an impact on your blood sugar (glucose) levels and weight. Here are 5 simple rules to help you stick to your diabetes treatment plan this Easter. One of the factors that determine your blood sugar levels is the amount of glucose that enters your bloodstream after meals. Carb-rich foods like bread, pastries and rusks affect your blood sugar levels as they’re broken down into glucose when digested. Sweet treats tend to be very high in sugar, which means they have a significant impact on your blood sugar levels. An occasional sweet treat isn’t a major concern, but it’s important not to overindulge. Over time, too much glucose in your bloodstream can cause serious health problems. 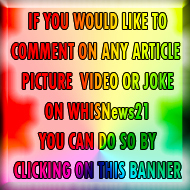 Keep foods that contain high amounts of sugar to small servings, and only eat them occasionally. Food is at the center of many Easter traditions and it can be hard to stick to your normal routine. The best way to overcome this problem is to prepare: bring a healthy salad for the table, your own unsweetened drinks, and keep healthy snacks handy for when meals are served late. If you indulge in one meal, go easy on the next. Make a point of swopping high-fat, high-sugar Easter foods with healthier alternatives where possible. Note the sugar content in your favourite Easter treats. Below you will see that a hot cross bun, a portion of pickled fish (hake) and even a milk chocolate-coated marshmallow egg each contain more than 2 teaspoons of sugar per serving (1 teaspoon of sugar = 4.2g)! *Values based on products available at general retail stores. A fist size of potatoes, bread, pasta or other starchy carbs. A palm size of meat, fish or poultry. Two handfuls of vegetables or salad. A cupped handful of fruit. Top of your thumb size of oil, margarine or butter. Take your medication with another activity that you won’t forget (e.g. brushing your teeth). Ask family and friends to remind you to take your medication or test your blood sugar levels. Set reminders on your phone or computer or use an alarm clock. Decide the day before on your exercise session, and plan other engagements around this. Aim for at least 30 minutes every day. Brisk walks or runs are great when you’re not close to the gym or other equipment. Try to spend less time sitting still. Do some light chores around the house and, if you’re in the company of children, try to go outside and play with them. It’s somewhat of a dramatic statement, but nobody in country music has revolutionized the live performance quite like Garth Brooks. 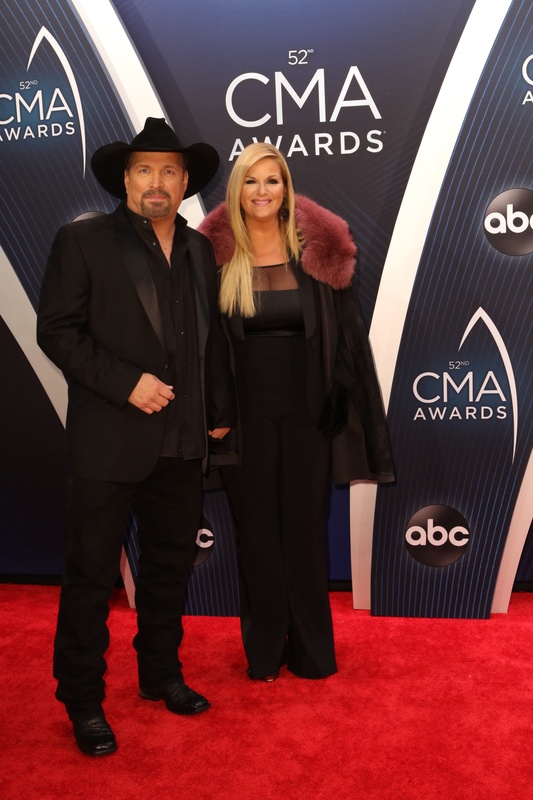 There were others before him – Hank Williams, Jr. and Ricky Skaggs come to mind – that brought high energy to their stage shows, and Keith Urban also is in a class of his own, but Garth Brooks was a game-changer in the way we think of Country stars on tour. His new five-disc collection, The Anthology Part III Live, is a reminder of just what makes Brooks so unforgettable. First of all, there’s the music. He – and producer Allen Reynolds – were masterful in collecting a group of songs that people could identify with. That’s the first step. Without the fan interest, you would have nothing. But, hit singles such as “If Tomorrow Never Comes” and “The Thunder Rolls” kindled a passion from listeners – who started coming out to see Brooks as he opened for artists such as The Judds, Kenny Rogers, and Ricky Van Shelton. Then, in the fall of 1990, a song called “Friends In Low Places” broke his career wide open. Before too much longer, the Oklahoma native was fronting his own shows – with an energy level that the genre had rarely seen before. The final three discs contain footage that was compiled from Brooks’ landmark 2015-2017 comeback tour. The stint proved once again what a magical hold that Brooks has on an audience. Much of the output features crowd sing-a-longs on such fan favorites as “Friends In Low Places” (which comes ‘complete’ with the famed ‘third verse’ of the song), “Unanswered Prayers,” and “Two Pina Coladas.” There are also a few nuggets from that might surprise listeners, such as his takes on “Fishin’ In The Dark” and “The Fireman.” He also tips the hat to newcomer Ashley McBryde with a stirring version of her “Girl Goin’ Nowhere” by changing the title to “Guy Goin’ Nowhere,” and a duet performance on the underrated gem “Whiskey To Wine” with wife Trisha Yearwood that there aren’t enough superlatives to fully appreciate. Trust us, it’s simply that good. Along with the music there’s a gorgeous 256-page book that shows the growth Brooks has made as a recording artist and a live performer. The book begins with a nostalgic look back at his 1997 Central Park concert in New York City – a night that still stands as one of his benchmark achievements. From there, the reader is taken back in time to the beginnings of Brooks’ performing career. Garth talks about being hired by Opryland to perform at the former musical amusement park – complete with the 1981 contract that was sent to him – only have the job nixed by his parents in lieu of his going to college. As it turned out, Oklahoma State proved to be great for Brooks – in more ways than one. In addition to getting his education, he would meet Ty England and Brian Petree – who would help him sharpen his musical focus. There are many stories about his days playing in Santa Fe, a local band around town that made more people aware of Brooks and his budding talents. From there, Brooks’ story heats up considerably. A meeting with future manager Bob Doyle led to Brooks’ playing at the heralded Nashville songwriters’ haven The Bluebird Café. Soon his star was on the rise, eventually landing a recording deal with Capitol Records. 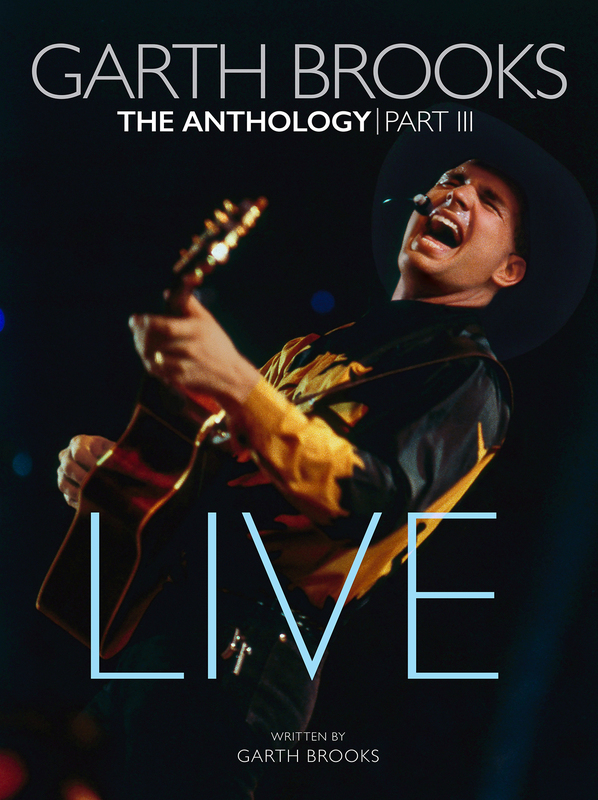 The book contains many of the highlights from Brooks’ first touring phase – his early stints opening for artists – such as The Judds’ historic 1991 “Farewell” concert to his seminal 1992 NBC TV-special filmed at Reunion Arena in Dallas. Suddenly, Brooks was selling tickets – and albums – at a breakneck pace, and the stages only got bigger for the singer. He returned to the city for another special for the Peacock network – this time at Texas Stadium. Brooks shares details of the accident that could have halted the show – but in the end, the night was another dose of electricity that only the singer could provide – including a performance of “Ain’t Goin’ Down Till’ The Sun Comes Up” that featured the singer rise into the stratosphere at the former home of the Dallas Cowboys. Also detailed is his 1997 venture into foreign soil – again, a resounding success. The performer made stops in cities such as Dublin, Munich, and Glasgow seem just like playing for fans in Atlanta or Tulsa, proving that music can be a universal uniting factor. 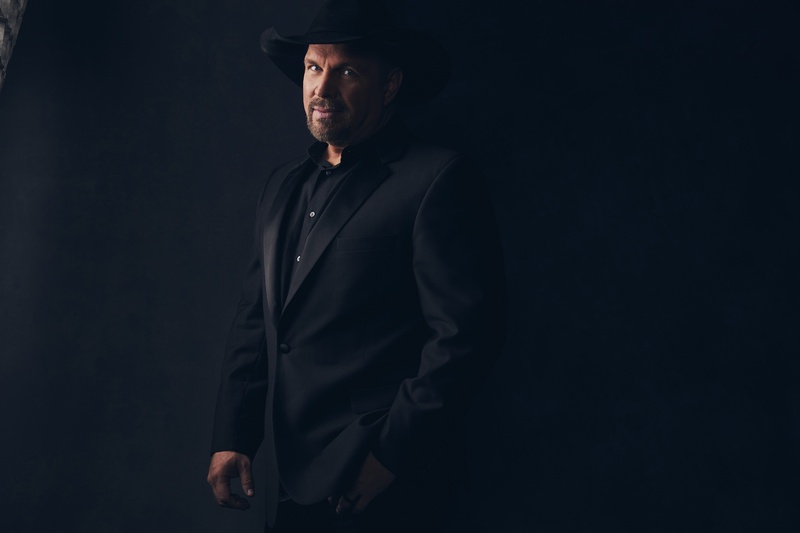 And, at the end of the day, that’s what sets Garth Brooks apart. Sure, there are stories of him selling out five shows in twenty minutes, the incredible sales numbers, all of which have added to sheer magnitude of the star he has become. But, it’s what he has managed to do with a pen and paper that has endeared him to fans around the world. The songs on this collection matter to people, and when he performs them live, that connection between artist and audience runs very deep – whether it’s a one-on-one meeting or a show in front of tens of thousands. Accessibility. That’s the magic of Garth Brooks, which is in full evidence on this collection! I could not help noticing that whenever Obama delivers a speech a young woman appears from nowhere to hug him, and if that does not happen he searches for a woman in the audience to go out and Hug. The pictures that i see of him hugging woman are a little over done it seems to me. So I am just wondering if the out going first lady should be concerned about the out going President and his hugging habit. I may be wrong but take a look at these pictures and you be the judge, and feel free to tell me that I am over reacting and if you are a woman, please if you don’t mind, tell me if you would be happy if your husband wants to hug this tight everywhere he goes. Some more Intense Hugging below. Well there are more hugs on Google, but that’s all I had time for. Thank goodness not all Presidents are out to get the Hugging Vote, some want a give the ladies better futures instead a 15 second or more Presidential thrill in exchange FOR A VOTE. Some of the ladies seem worried in some of these pictures. Music City Movie Stars Do You Remember Kris? From Dolly Parton to Kris Kristofferson, here are some country singers turned movie stars! CMT’s Nashville may have left the Volunteer State for the Broadway stage, but Music City shows no signs of giving up its Hollywood connections. Recent entertainment headlines announced a new TV project from Dolly Parton, and Dierks Bentley is making his first foray into episodic television with a development deal at FOX. Plugging country music stars into movies and TV is by no means a new concept, but it’s one that moves in cycles, and success as a country star is no guarantee for silver screen stardom. The challenge for country music artists is not a lack of opportunity, but the type of roles available within a given trend or cultural cycle. The 1980s set a benchmark, fueled by several pop culture influences that created nostalgia for a South that never existed in films like Smokey & The Bandit and CBS’ The Dukes of Hazzard. When Urban Cowboy hit theaters in 1980, it kicked opened the door for country music stars to find new audiences in Hollywood. The 1980 film 9 to 5 made Dolly Parton an internationally known actress, but Best Little Whorehouse in Texas (1982) made her a movie star. Kenny Rogers extended his brand to made-for-TV movies adapted The Gambler (1980) and The Coward of the County (1982) before driving audiences to see Six Pack. Though no sequel followed, a TV series based on the film aired in 1983 featuring Don Johnson in the role of Brewster Baker and Joaquin Phoenix. The big question marks for movie studios, producers, and artists: Will fans who follow the music follow the artist into the theater? Or can the artist create new fans who may not necessarily like the music? The best example of this is Kris Kristofferson, whose career includes music and acting in equal doses. Whether starring in the critically acclaimed Alice Doesn’t Live Here Anymore or sharing the screen with Barbara Streisand in A Star Is Born, Kristofferson demonstrated a legitimate talent that could eclipse his music career. As an actor, Kristofferson would reach a different level of celebrity in the 1990s with the international success of the Blade vampire action films. Without a franchise platform, even the most beloved talent can struggle at the box office. Even Dolly struggled with making the connection: Her 1984 film Rhinestone was a box office and critical disaster. Despite the film’s poor reception, her soundtrack contributions were embraced by fans and became Top 10 radio hits at the time. The best example of this frustrating dichotomy may be George Strait and Pure Country: The soundtrack proved to be the highest selling of his career with more than six million units. It’s hard to find even a casual country music fan who doesn’t know “I Cross My Heart.” The movie, however, was far short of blockbuster material, returning $15 million against a $10 million budget in 1992. It wasn’t until the film reached rural markets through home video and near-continual airing on TNN and then CMT that it found a near-cult-level status amongst fans. The cultural shift to home video is what saved so many artists’ performances for new generations of fans to find and explore. Today, the best way to find episodes of Shotgun Slade with Johnny Cash is to order them from Amazon. Fans of Conway Twitty can find his nearly forgotten performance in the 1960 comedy College Confidential starring TV icon Steve Allen. Home video is also where fans can explore more recent successes that may have passed unnoticed. Roy Rogers is still the “reigning” king of singing cowboys with 118 credited roles. His TV appearances later in his career helped him surpass Gene Autry. Fans who visit the Cash Museum can see clips of a young Johnny Cash and movie posters, who made 26 appearances in film and TV shows. In the modern era, Billy Ray Cyrus and Trace Adkinswho lead country music artists who act with a combined 62 roles between them. But the number of roles doesn’t really address the strength of the impression an artist can make on audiences. If the measure of crossover success for country music artists is durability and audience reach, there is only one atop the rankings. Reba McEntire burst onto the movie scene in 1990 with the role of Heather Gummer in the monster thriller Tremors. The film performed well at the box office and, again thanks to home video, found a cult audience that propelled the film to five sequels, the most recent released in 2015. As if starting a second career, McEntire honed her skill with walk-on and guest roles and built her acting resume throughout the 1990s. In 2001, The WB network aired a pilot for a new show about a recently divorced mother and her pregnant teenage daughter. In the role of Reba Hart, McEntire would catapult to a different type of stardom. With a total of 127 episodes across six seasons (2001 – 2007), Reba proved to be a solid ratings performer for The WB in its effort to challenge the “Alphabet Networks.” While the Nielsen ratings slotted the show in the bottom of its prime-time reporting, Reba regularly drew nearly 4 million weekly viewers. That was enough to ensure McEntire a contract worth more than $100,000 per episode. Syndication become a lucrative audience booster as fans in nations as far flung as the Czech Republic and Croatia connected with McEntire’s charm and the show’s comedic spin on family strength in challenging circumstances. In total, foreign syndication carried Reba to 30 different countries around the globe. The final episode reached more than 8 million international viewers. Reba would return to TV in 2012 as Reba MacKenzie in Malibu Country, an ABC sitcom that offered a different spin on the same plot concept behind Reba. The show ran one season before being cancelled. McEntire continues to balance her career: Her new album, Stronger Than the Truth, will be released on April 5 and MCA Nashville is re-issuing a 25th anniversary edition of Read My Mind exclusively on vinyl. Meanwhile, McEntire is reportedly developing a TV project with super-producer Marc Cherry, best known for Desperate Housewives. Dolly’s place as the Queen of Country is secure, but McEntire deserves her own accolade. While both artists were recognized with Kennedy Center Honors, McEntire carved a separate lane for her career that can’t be compared. Like Kristofferson before her, McEntire demonstrated a wholly separate set of artistic skills while continuing to thrive as a country music icon. With those accomplishments informing McEntire’s next steps, her third act may be the best yet.